Ezra Furman is an American rock musician, singer and songwriter - formerly the front-man with the band Ezra Furman and the Harpoons. 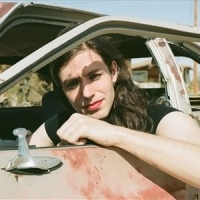 He is currently the front-man with the band Ezra Furman and The Boy-Friends. With the Harpoons, he recorded three albums; "Banging Down the Doors" in 2007, "Inside the Human Body" (2008) and 2011's "Mysterious Power". With The Boy-Friends, he has recorded the albums; "Day of the Dog" (2013) and 2015's "Perpetual Motion People".